In this chapter, we take a flat thin 3-d plate/film lying in the xy-plane and let the thickness (in the z-direction) of the plate/film tend to zero. 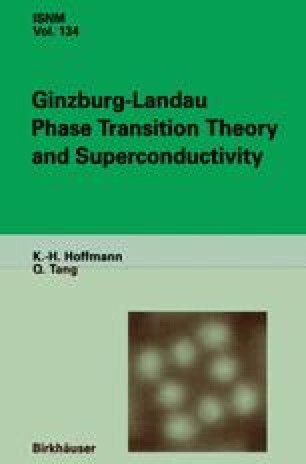 Theoretically, the limit would yield the G-L superconductivity model for an ideal 2-d plate/film. Naturally, it is very interesting to see if this 2-d plate/film model has anything to do with the 2-d G-L system. The conclusion is, it depends on which 3-d model we start from.